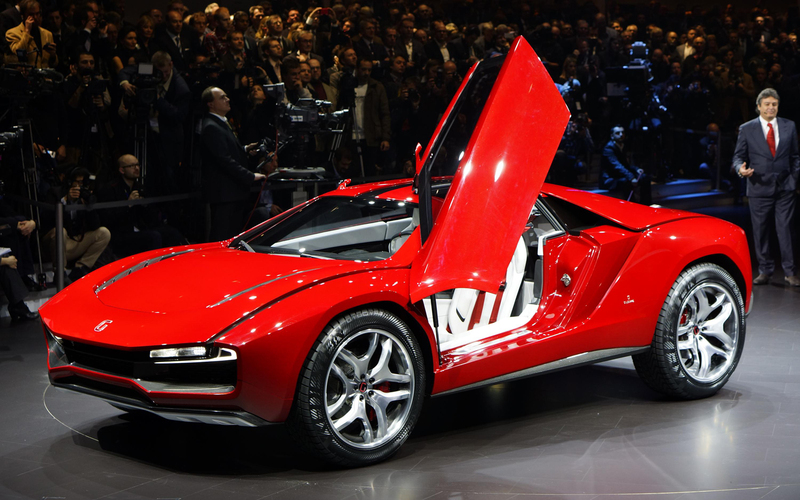 Design firm Italdesign Giugiaro is teasing a new concept car that its bringing to the 2015 Geneva Motor Show. The brand has released a teaser photo, although none of the car is actually revealed. Based on previous concepts from the design firm, expect a minimalist design built on a vehicle from the Volkswagen Group. That’s because back in 2010, VW purchased Italdesign Giugiaro. Last year, the firm showed off the Clipper, a futuristic looking crossover based on VW’s MQB platform. Before that, the Parkour concept impressed at Geneva, showing off what a lifted Lamborghini Gallardo would look like.